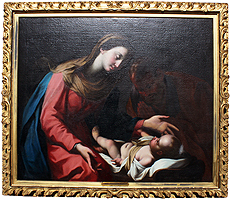 A Very Fine Italian 18th Century Oil on Canvas "Madonna and Child" after Giovanni Lanfranco (Italian, 1582-1647). 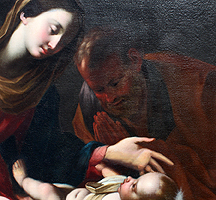 The young Virgin Mary attending to a joyful baby Jesus laying down in front of her with an elder man praying to the side, all within an ornate gilt wood carved frame. 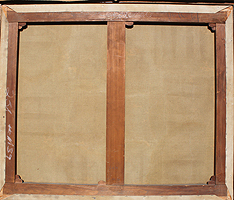 Circa: 1780. Giovanni Lanfranco was a Baroque style artist based in Rome, Italy. 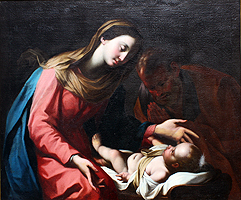 He studied under Agostino Carracci and was inspired by Correggio's. 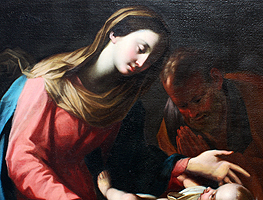 His works include frescoes in the Sala Regia in the papal Palazzo del Quirinale. dome of San Andrea della Valle in Rome and the Cappella del Tesoro's cupola in Naples Cathedral among many others. 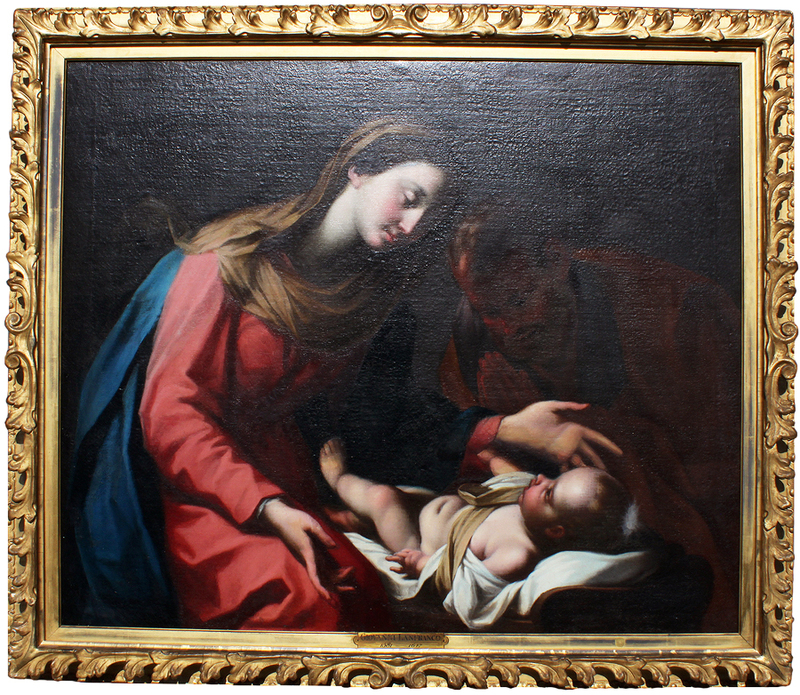 A Very Fine Italian 18th Century Oil on Canvas "Madonna and Child" after Giovanni Lanfranco (Italian, 1582-1647). 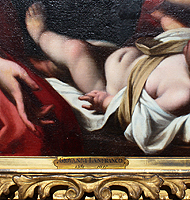 The young Virgin Mary attending to a joyful baby Jesus laying down in front of her with an elder man praying to the side, all within an ornate gilt wood carved frame. Circa: 1780. 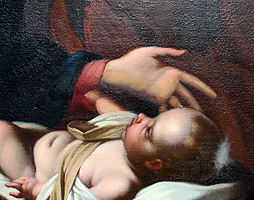 Giovanni Lanfranco was a Baroque style artist based in Rome, Italy. 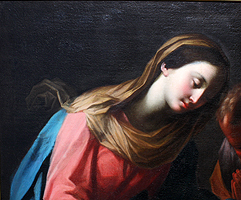 He studied under Agostino Carracci and was inspired by Correggio's. 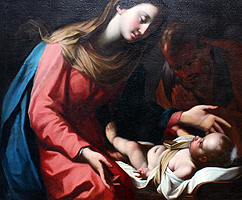 His works include frescoes in the Sala Regia in the papal Palazzo del Quirinale, dome of San Andrea della Valle in Rome and the Cappella del Tesoro's cupola in Naples Cathedral among many others.